Just like all the hotels in the Asten Hotels group, Boutique Hotel Klarov presented an exceptional architectural challenge. Since our takeover of the hotel in 2014, we ask ourselves every single day - how can we surprise you, our dear guests, during your stay and make it a memorable experience? We renovated all of our rooms in 2015, taking inspiration from the stories of the world's most famous musicians who have given concerts in Prague since 1989. Now you can meet superstars like Rolling Stones or Joan Baez, not in person of course, but as motifs. In our Club Lounge and the hotel's private garden you can experience the charm of French countryside right in the center of a global capitol. We do our job with love and passion so that we can meet all your expectations and make you want to stay. We are passionate hoteliers, looking very much forward to seeing you. 25 spacious and modern rooms decorated in motifs of famous bands that have visited Prague. Enjoy breathtaking views from our Deluxe rooms, a Prague Castle view suite with skylights. Your stay here can be anything you want it to be. 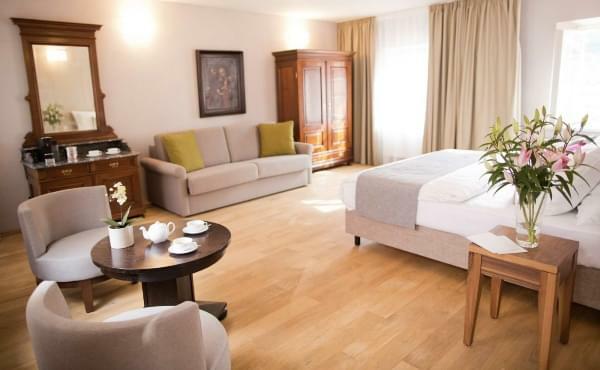 Hotel Klarov is in ideal location in the historical center of Prague. All historical sites are within walking distance of the hotel. The rooms feature light-coloured, modern design. They will remind you of famous singers and bands who have held concerts in Prague during the last 25 years. The Club Lounge is not only a venue for small and middle-scale conferences and events, but also a place where the guests can relax after a day full of sightseeing in Prague. Our garden is unique, quiet and green hideaway in the centre of a busy city. Guests will be enchanted by its French countryside atmosphere and warm decorations. The hotel's concierge will provide the best reccomendations for walks, arrange transfers, parking and other services. We look forward to seeing you! Start a day like Kings do! We serve breakfast in our cozy breakfast restaurant. Freshy brewed Illy coffee, Ronnefeldt tea, fresh bread and superb marmalades from Bonne Maman. This is our breakfast. French countryside charme in the down town of Prague? Our garden is one of the most beautiful gardens within Prague center and it is ideal for events, parties, wedding ceremonies and other Get Together functions! Club Lounge is ideal location for smaller scale company conference, business meeting or just a relaxation after all sightseeing was done. It can be also rented exclusively. 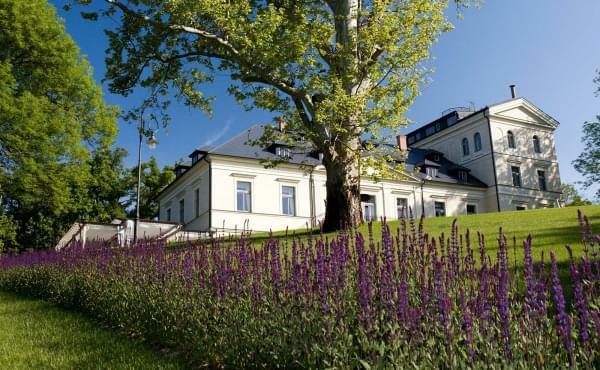 Prague is ideal location for any sort of company meeting, event or incentive trip. Hotel Klarov is perfectly located and offers range of meeting services and equipment. We will be pleased to organize transfer from the airport or any other location in/or out of Prague, including transportation within Czech republic or also abroad. Designum Café is a romantic coffee shop in our partner hotel Golden Key in Nerudova street. On the way to castle you may enjoy homemade cakes, lemonade, choice of fine coffee and smile of Martina, young lady responsible for this gem of café. Which theatre, restaurant or museum should not be missed during my stay in Prague? Find inspiration in a guide created by our concierge. We tried most of the recommendations ourselves bith to enjoy them and to be able to give you first hand information - to help you make the most of your stay in Prague. Welcome to Prague, a city which will enchant you with its history, romantic streets and architecture from gothic to modern times. Prague is also becoming a gastronomical city, a real treat for "foodies". You can find great food, from local pubs to Michelin restaurants. Welcome and enjoy!